We have a great selection of wall art: painters/photographers, jewelry, pottery, candles and other mediums. Gallery 1070 located at 1070 W. Granville. Show open Thursdays thru Sundays 12-6 PM until February 24. When it comes to the fine arts, Chicago long has proven to be one of the more accepting and affluent cities in the United States, and within Chicago, the Edgewater neighborhood is among the most artistic local communities in the city. Located on the far north side of Chicago, Edgewater is a fantastic residential neighborhood with plenty of burgeoning businesses, including restaurants, pubs, and shops, but with a number of locals involved heavily in art, theater, and music, the area serves as an important hub for displaying the work of local artists. First and foremost, we want to showcase original community art here in Edgewater. With over 1,600 artists and art lovers in this community, the impact of this type of attraction is essential to giving those residents an opportunity to showcase their work and passion at our art gallery. Those who believe the world needs more art should visit Edgewater sometime. It’s here in droves. Another primary goal of Edgewater Artists in Motion is to enhance Edgewater’s appeal as a vibrant, pedestrian-friendly commercial district to assist existing businesses and attract new business. When the area was struggling following the recession of ten years ago, it was art that helped rebuild interest and pride in the area. Now, several community organizations and businesses are thriving, and here at Edgewater Artists in Motion, we love knowing that we played a role in assisting in that revitalization. We also want to continue establishing Edgewater as a cultural destination in Chicago for the long-term benefit of the community. Art is important in this city, but it is especially important to Edgewater artists. EAIM showcases original art, involves community art programs, and events, which helps the sustainability of art in Edgewater, for the long-term success in this beautiful city of Chicago. If you are interested in experiencing this community, plan a visit to Edgewater to participate in the art and culture we are helping to build here. 1. 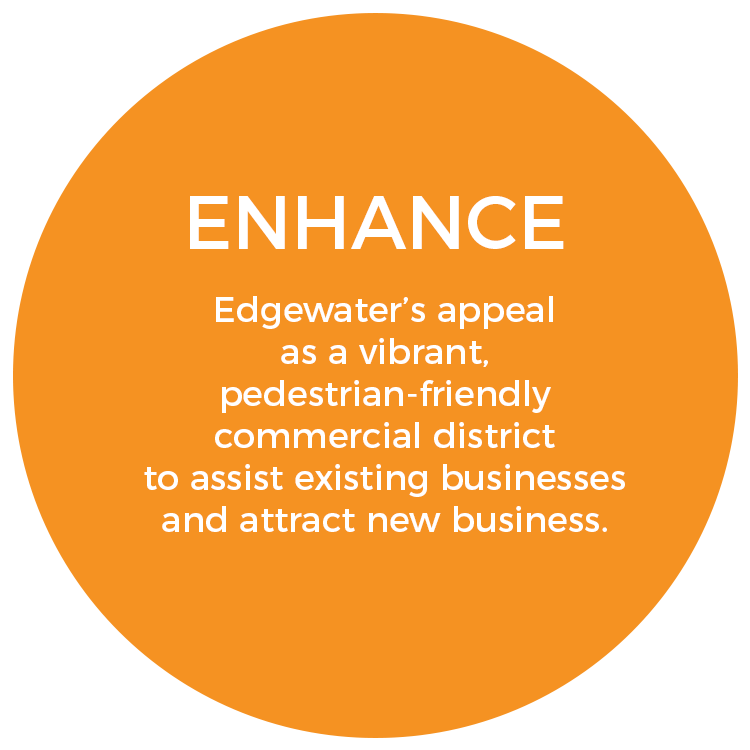 Enhance Edgewater’s appeal as a vibrant, pedestrian-friendly commercial district to assist existing businesses and attract new business. 2. 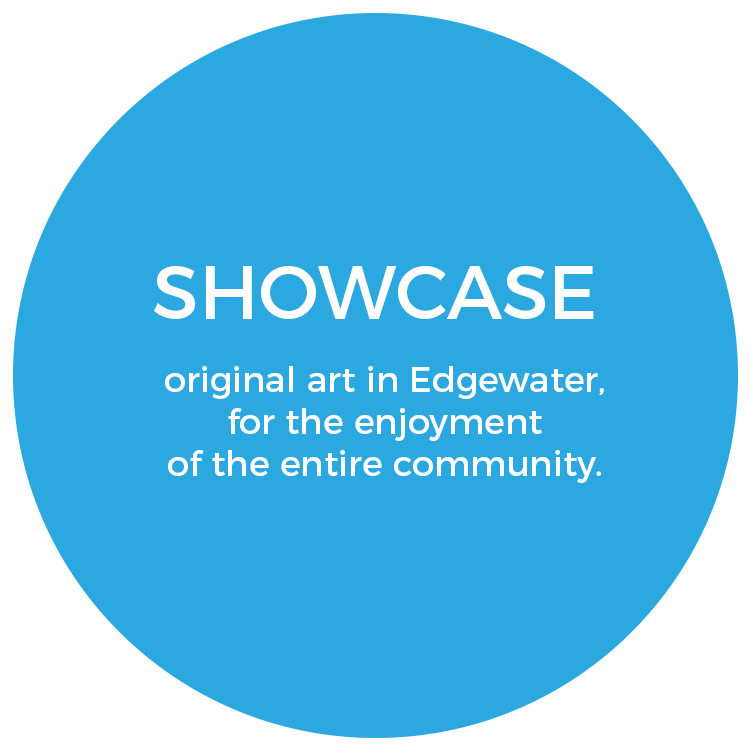 Showcase original art in Edgewater, for the enjoyment of the entire community. 3. 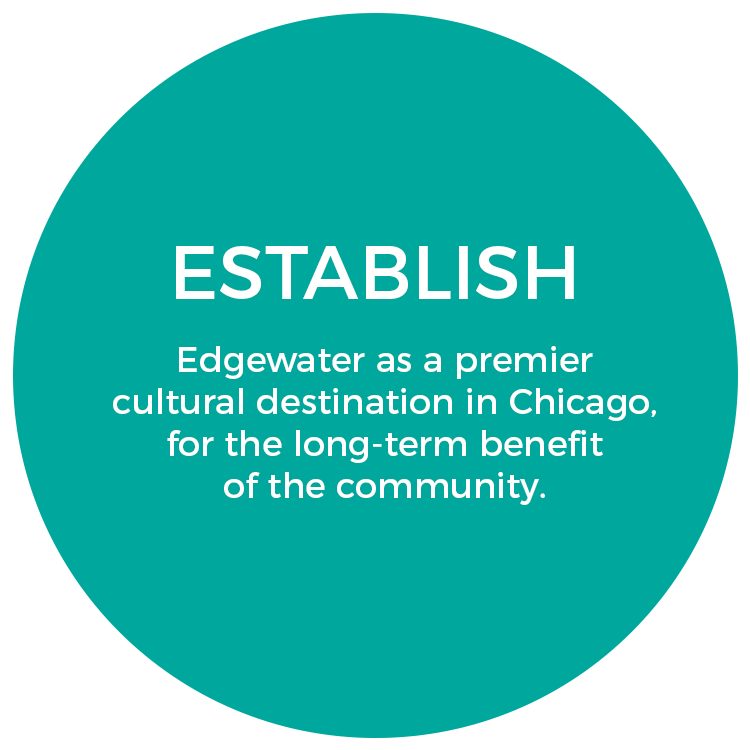 Establish Edgewater as a premier cultural destination in Chicago, for the long-term benefit of the community. "I am inspired by relationships, faith, nature, color and music." Through a mix of interwoven colors, Kathleen creates artworks with an aura of mystery and beauty. Chicago painters, photographers, jewelry makers, and mixed media artists. The individuals, businesses and organizations who support our mission. ﻿Open to Artists and Art Lovers: Help us make an even bigger impact for our community, our artists, and the Edgewater businesses. Get involved in different aspects of our operations, like events planning, public art projects, and more. Artists & Art Lovers: Stay in touch with our artistic community. Sign up for our mailing list to receive calls to artists, news about upcoming shows and other art initiatives and the impact we are making in the neighborhood. Edgewater Artists in Motion is partially supported by a CityArts Grant from the City of Chicago Department of Cultural Affairs and Special Events.